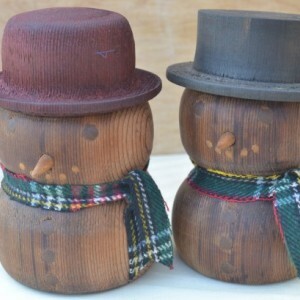 Such a lovely couple! 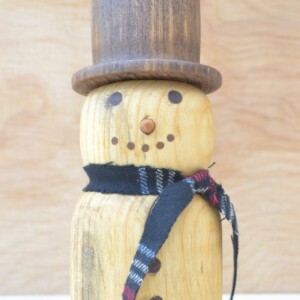 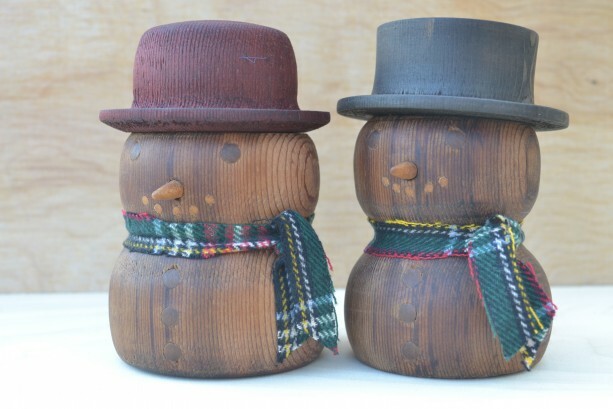 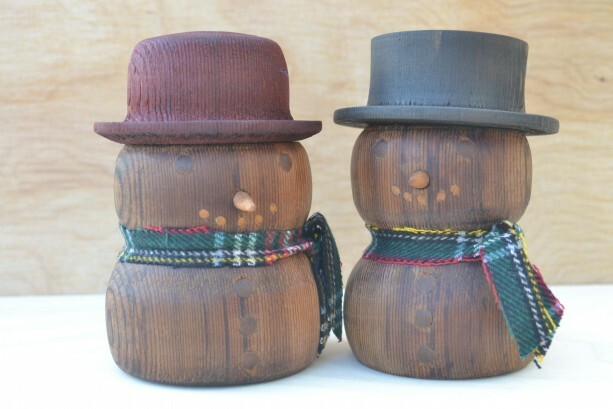 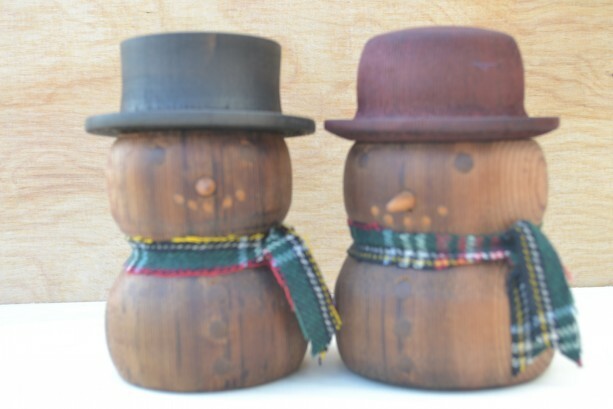 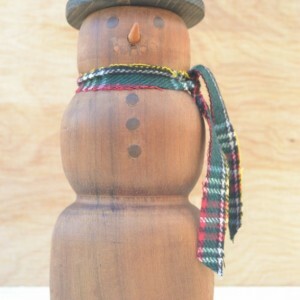 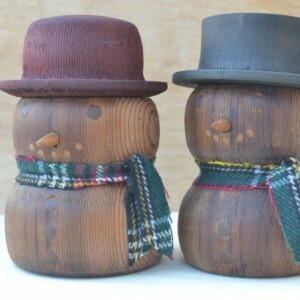 Hand-turned reclaimed cedar rescued from the landfill make up these two snow people. 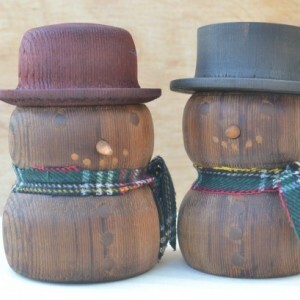 Their eyes and buttons are inlaid with walnut, the noses are cherry, and their mouths are poplar. 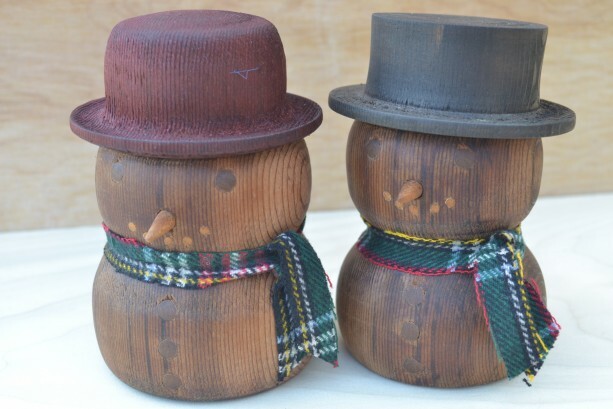 They are sealed with danish oil and looking for a nice cozy home to live out the next hundred years. 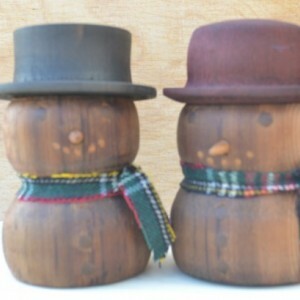 They are 5" high and 3" in diameter.